The Country Inn & Suites by Radisson Columbia Missouri offers 85 guest rooms and suites with Refrigerators, Microwaves and High Speed Internet Access. Complimentary breakfast is served daily featuring hot and cold breakfast favorites. 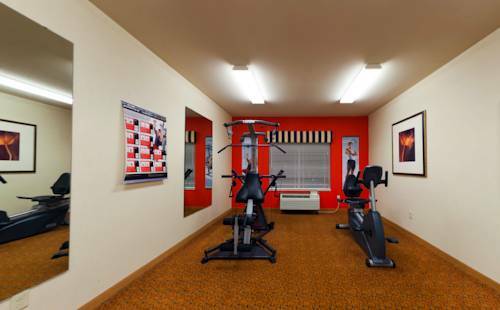 A fitness room, indoor pool, and indoor whirlpool are open daily. The hotel is located is off Interstate 70 and US 63 near new shopping and restaurants. Breakfast Room: Off hotel lobby. Boone Center HospitalAffiliated with BJC HealthCare, one of the nation's largest health-care systems. The BJC system includes hospitals, nursing homes and numerous health-related services and programs throughout Missouri and southern Illinois. Boone Country FairgroundsFirst fair was held in 1835? It was the first county fair held west of the Mississippi and first in the Louisiana Territory. Columbia Regional HospitalOnly hospital in Missouri exclusively dedicated to the health of women and children. The hospital is home to MU Children's Hospital, MU Women's Center and the Family Birth Center. Faurot Field/Memorial StadiumHome field of the University of Missouri Tigers in Columbia, Missouri. It is primarily used for football. Hearns CenterHome to the Tigers' nationally ranked wrestling and volleyball teams as well as the school's gymnastics and indoor track & field teams. Shelter GardensGarden is in Shelter Insurance Corporate Office with five acres containing over 300 varieties of trees and shrubs and more than 15,000 annuals and perennials. Open to the public between 8AM- dusk.